The Cuisine Royale Artisan Sourdough loaves are made using our unique starter which orginates from a mixture of flour, water and grapes. The wild yeasts allow the dough to ferment slowly in order to develop more complex flavours. Our master bakers leave these breads to rest in a warm temperature for over 9 hours. This ensures that these loaves deliver powerful flavours from the very first bite. Each loaf comprises of a medley of carefully selected delectable ingredients combined with a distinctive crust and incomparable texture to give you the ultimate Artisan taste experience. Check out our recipe section for some delicious recipe ideas. 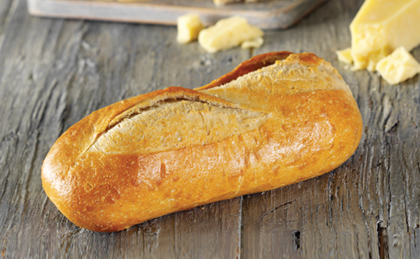 An artisan sourdough cheese loaf made with fine cheddar cheese delivering a smooth flavour, a soft texture and a hearty outer crust. This is a delicious loaf full of cheese on the outer crust and inner crumb of the loaf. 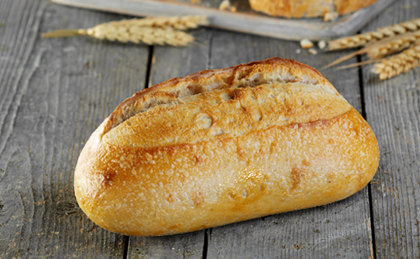 Enjoy this loaf fresh today to make your favourite sandwich, or try toasting tomorrow. 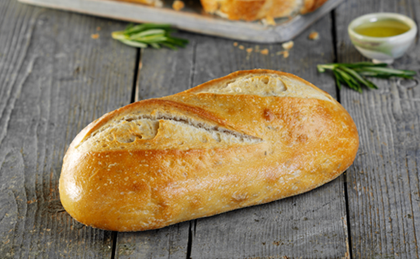 An artisan sourdough loaf infused with extra virgin Italian olive oil and chopped rosemary delivering a majestic flavour and texture. This is a mild loaf that has the subtle rosemary flavour that makes it so delicious and versatile. It can be used with a selection of meats and cheeses or simply with dips and spreads. 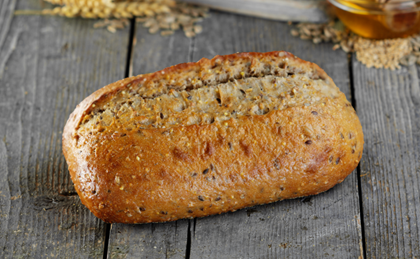 A wholegrain sourdough loaf made with a mix of rye flour and mixed grains, linseed, sunflower and millet seeds, combined with sweet honey and baked to a thick golden crust delivering a hearty texture and flavour. This mouth- watering loaf is great any time of the day and the slight sweetness makes it great with meats, cheeses or even for breakfast. A classic white sourdough loaf with a rich crumb texture and crunchy golden crust it delivers a deliciously unique flavour experience. The delicious crust on this loaf makes it a perfect accompaniment to soups or stews. This unique sourdough loaf is made using a blend of black, green and blonde Greek Kalamata olives combined with roasted red, green and yellow peppers and sun dried tomatoes. 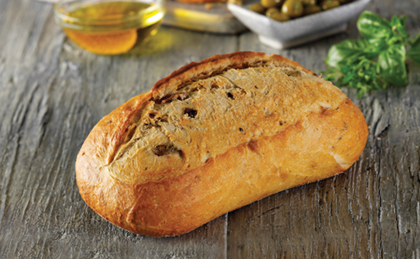 The ingredients are then drenched in extra virgin olive oil and oregano delivering a deliciously rich full bodied loaf bursting with the flavours of the Mediterranean. This loaf is so full of flavour it can be eaten alone or as a meal accompaniment. This is definitely a show stopping bread and great for impressing your friends and family when entertaining.